The Toronto Chapter of the American Marketing Association has an impressive heritage in the Toronto marketing community, dating back to its origins in 1946. Its mission is to increase the impact and value of marketing in your business and connect you to Toronto marketing and business professionals and the world’s largest marketing community, the American Marketing Association. The AMA is committed to helping its members connect with other marketers, learn about emerging industry trends, and increase their skills through its education programs. The Association of Accredited Small Business Consultants® (AASBC) is the only global association focusing on training and certification of small business and SME consultants with proprietary educational materials and practice aides explicitly designed to develop proficiency in the specialized area of small business and SME consulting. Accredited Small Business Consultants and Accredited SME Consultants have the knowledge and credibility to assist clients in improving operational efficiency leading to increased profitability and business value. The Certified Management Consultant (CMC) designation is the profession’s only international certification mark, recognized in over 40 countries. It represents a commitment to the highest standards of consulting and adherence to the ethical canons of the profession. The Canadian Association of Management Consultants (CMC-Canada) fosters excellence and integrity in the management consulting profession as a whole, and administers the Certified Management Consultant (CMC) designation in Canada. Gordon Graham helps B2B technology firms get a better return on their white papers, by planning, creating, and promoting them more effectively. Gordon is a former VP of Marketing for a fast-growing wireless firm, and a seasoned copywriter who has created close to 200 white papers for clients including Adobe, Google, and Rackspace… plus many smaller firms with big dreams. 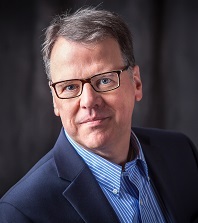 Gordon has won more than a dozen awards from the Society for Technical Communication (STC), and is the author of “White Papers For Dummies” which the Content Marketing Institute calls one of the top seven books ever published about marketing with content.